“K” Stone’s second children’s book is also true and focuses on more family traditions. 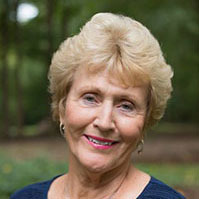 As with her first book, The Beach Fairy, its creation would not have been possible without her having attended Greenville High School and the University of Montevallo in Alabama as well as Old Dominion University in Norfolk, VA. She spent ten years as an elementary educator in Atlanta, GA, and Chesapeake, VA, before teaching middle school for eighteen years. She was honored for making learning effective and fun when Chesapeake Public Schools named her Teacher of the Year in 1996. Through her writing, she is striving to strengthen families by sharing fun practices that will increase wonderful childhood memories.